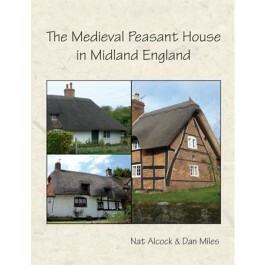 The aim of this lavishly illustrated book is to provide an in-depth study of the many medieval peasant houses still standing in Midland villages, and of their historical context. In particular, the combination of tree-ring and radiocarbon dating, detailed architectural study and documentary research illuminates both their nature and their status. The results are brought together to provide a new and detailed view of the medieval peasant house, resolving the contradiction between the archaeological and architectural evidence, and illustrating how its social organisation developed in the period before we have extensive documentary evidence for the use of space within the house.